About half the forensic CPA’s clients are men, but that’s little solace to the money cheating males she nails. Certified public accountant Ginita Wall is a kind of private detective. But instead of searching for missing persons, she’s called in to solve the mystery of cash that disappears when couples divorce. California’s community property laws may seem straightforward: husband and wife must split the community property 50-50, including business income and retirement funds accumulated during the marriage. But Wall, a prominent financial adviser and forensic accountant, has seen enough to know some people can be downright sneaky. She searches balance sheets looking for hidden cash flow. Sometimes she uncovers duplicate sets of books at a business owned by a divorcing husband or wife – one showing the money actually going through the business, the other showing what was siphoned off into what Wall terms “Hip Pocket National.” When a husband fills out five different IRS forms, she figures out which one really counts – not necessarily the one presented to the wife. Describing her as an impassioned champion for the client, “sometimes to her own detriment,” Feuerstein says she’s able to provide valuable financial education to a divorcing wife, including how to plan for her financial future. And he praises her ability to help the “out spouse” – the husband or wife who are clueless about their spouse’s business income – figure out the true net income for purposes of support. Wall recalls one case in which the husband sold his business, informed his wife he wanted a divorce, bought a boat and moved onto it in a single day. The wife’s initial anger quickly grew into suspicion. Although her husband insisted he was providing his spouse with 50 percent of the monthly proceeds from the sale of the business, he seemed to have more money than she did, even though he had retired. The wife and her attorney studied records but found nothing. In another divorce case, a wife suspected that her husband’s wholesale distributorship made more money than he was reporting in the documents presented to her. She could find no evidence, though, until a disgruntled receptionist revealed that her husband made off with the big checks coming into the office. Wall was able to trace the checks and determine the true cash flow of the business. Besides her knack for finding hidden community property, Wall uses her financial expertise to advise women going through divorce. Each month she holds her “Second Saturday” workshop on the San Elijo campus of MiraCosta Community College, drawing up to 50 women – and sometimes a few men. 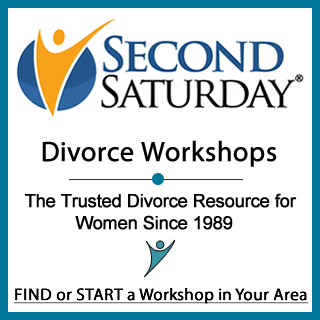 The $45 half-day program includes presentations by a divorce attorney, a family counselor who speaks about emotional issues, and a family law attorney who discusses mediating a divorce rather than going to divorce court. Wall’s resume is impressive. She graduated from Antioch College with a bachelor’s degree in administration, later earning CPA credentials for California and New Mexico as well as a certified financial planner certificate. She began her accounting career in Las Cruces, N.M., where she was managing partner and tax partner of a 16-person firm. When the firm was sold, she signed an agreement not to set up another firm that would compete. Her search for a new home brought her to San Diego in 1987. The following year, then Mayor Maureen O’Connor’s office released a survey showing that San Diego women needed help in getting divorced and recovering financially. Wall had found her new mission. In 1988, she teamed up with stockbroker Candace Bahr to start the nonprofit Women’s Institute for Financial Education, and shortly after, the “Second Saturday” program was launched. Average attendance has grown from 15 to 25 per session to between 25 and 50. Since moving to Carmel Valley, where she operates her business from her home, Wall has written half a dozen financial books, including “Smart Ways to Save Money During and After Divorce.” She also wrote several booklets, among them “150 Ways to Divorce Without Going Broke.” Named one of the top 250 financial advisers in the country by Worth magazine, Wall’s star is rising. She is a frequent lecturer and a columnist and financial expert for iVillage.com. While she is known for her financial advice to divorcing women, she says about half of her current clients are men. Among them is the former husband of a woman Wall represented when the couple divorced. The ex-husband remarried but is divorcing again. This time around, he wants Wall on his side. First, I live in NY. I was married to one man just over 11 years. I divorced him and did not go after his retirement from the military. I was able to work then. I remarried, got breast cancer and became disabled. I’ve been disable for 18 years. I have been married to my husband now for 24+ years. After all of that time now he wants a divorce.Also I am almost 56. He is 48. He doesn’t have a pension because of the type of work he does. After this divorce, as long as I’m not remarried, do I have a claim on my first ex’s retirement. Either based on my disability or just because of the 11 year marriage? First husband and I divorced in TX in 1989, but are both from IL. I don’t know if that matters. I am having a hard time finding any info about when the spouse without disability divorces the one with a disability, what are her rights? Is there anything he has to do for her because she cannot work EVER for the rest of her life. How does a person survive? All I get is less than $800 a month and I will now have to purchase a medicare supplement out of that piddly amount as well. What’s left to live on? From your post it sounds as though you gave up your rights to your first husband’s retirement when you divorced. In most states, you are entitled to support from your spouse when you divorce if you are unable to support yourself and he has income, so consult with an attorney to see what your rights are in New York. My ex husband worked for the Federal Government for 16 years and during our divorce proceeding he was told that I WOULD receive 50% of his retirement. He stated then that he had been put on Federal Workman’s Comp for the rest of his life and was unable to take the medical retirement that he had been stating he had been accepted for. No reason was given why, but he had found out that I would receive half of that as well should he at anytime receive it. When asked about his retirement he stated that it was gone and that the Government has it somewhere and he would never receive it. He was then told that if he were lying, I would receive 100% of it and he agreed to this. Not even his attorney or the Mediator believed him. How can I find out what he has done with it? I am wondering if he was able to withdraw it (even tho he needed my signature to do this) or what he has done. Am I right that you do not just lose your retirement in that manner? Talk to your attorney about what avenues of discovery are available to you at this point. You may be able to subpoena documents (your attorney should have done this already) about the plan and benefits. You can go online and look at any accounts for which you have the password. You can review your joint tax returns to see the sources of income reported. You can have your attorney subpoena financial records from her and from financial institutions.